This set is so cute for new babies! The yoga waistband on the leggings is so soft and comfortable. They are made from on trend, soft and perfectly stretchy, jersey knit fabric made from 95% Cotton and 5% Spandex. All seams are serged for added durability. Please note, pattern placement will vary. All items are handmade. The bodysuits are Carter's brand. They are designed and printed by Two Dreams! We can't wait to offer more matching bodysuits! Gerber available upon request. 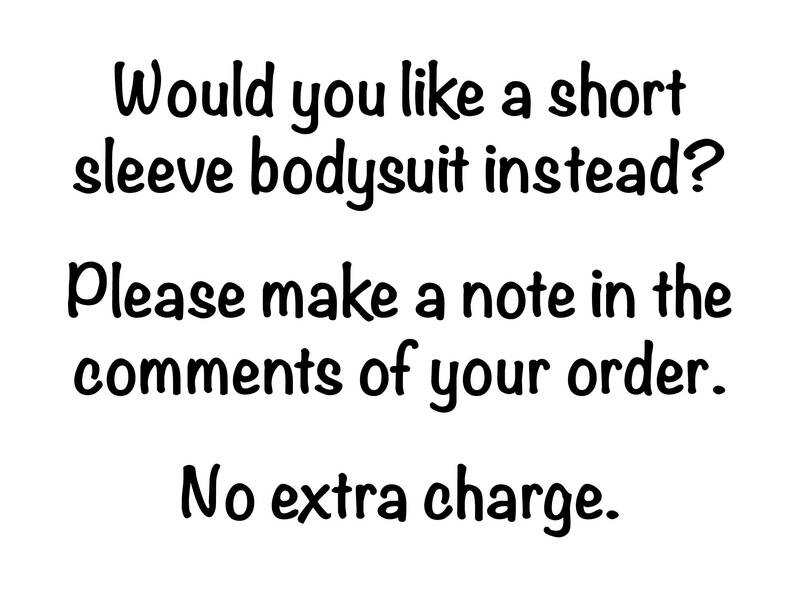 Please note, short sleeve bodysuits are available at no extra charge. Please put a note in your order if you would like to substitute. For best care, machine wash cold and line dry inside out. All of our products are handmade in the USA in a smoke and pet free studio. Find us on Instagram @TwoDreamsShop or Facebook at www.facebook.com/TwoDreamsShop for special deals and coupons! Tag us and we would love to share your photos!